Enjoy a ride around Willow Lake in a four-seater pedal boat. Each boat can hold up to four people max. 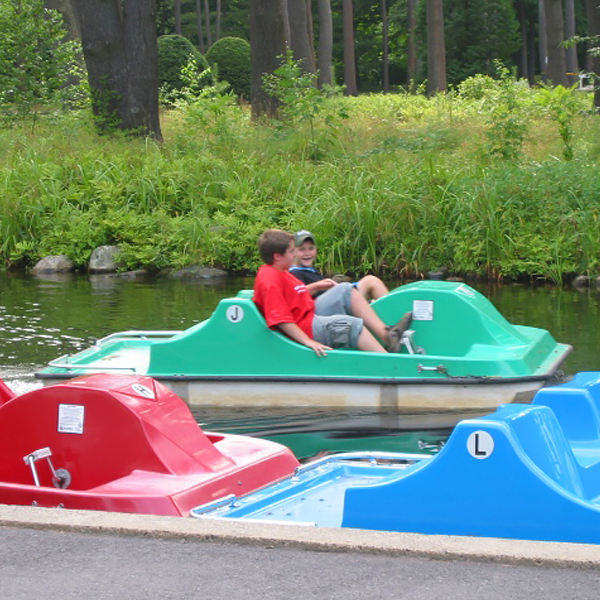 Pedal Boats are first come first serve and can be used for up to a half hour on the lake. To accommodate everyone, we don’t allow the boats to be reserved for a particular time. On busy days a waiting list will be created and we advise remaining nearby until your party is called.